The Casio G'zOne Ravine is a slick, thick and rugged phone that you can drop in a swamp or off of a moving Jeep. Is it up for adventure, or does it wear out quickly? 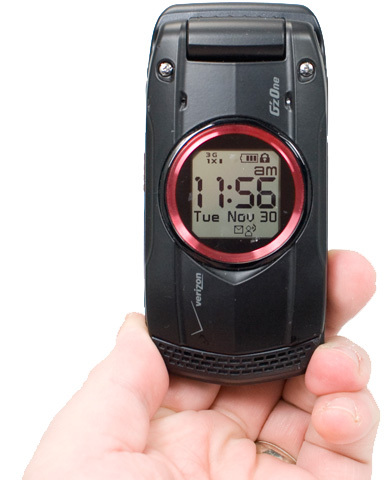 The Casio G'zOne Ravine is the newest and most sleek member of the venerable, waterproof G'zOne family. It combines rugged construction and some outdoor features with feature phone looks and even some basic multimedia and Web browsing prowess. Is this the phone you'll want to carry on your next trek? The phone DOES have a mass storage mode! On the phone, go to Menu > Settings and Tools > Tools > USB Mass Storage. Please correct the artical. His entire review really sucked in my opinion.